There is so much to do and see in London, sometimes it is easy to get lost. 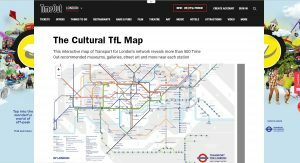 Time Out has designed an interactive and cultural TFL map that lets you click on each tube station to see what’s going on in the area. 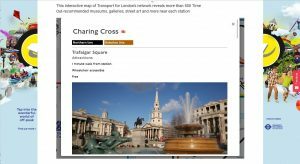 This interactive map of Transport for London’s network shows more than 500 Time Out-recommended museums, galleries, street art and more near each station. It is a great way to see London from a new perspective. 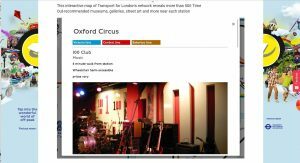 Time Out did a great job of compiling interesting places close to tube stations and creating a interactive map. If you have time to spare before class this map is a great way to explore London. Below are examples of how the map works. Click here to check out this interactive map! Find out more about EC’s English lessons for adults in London.